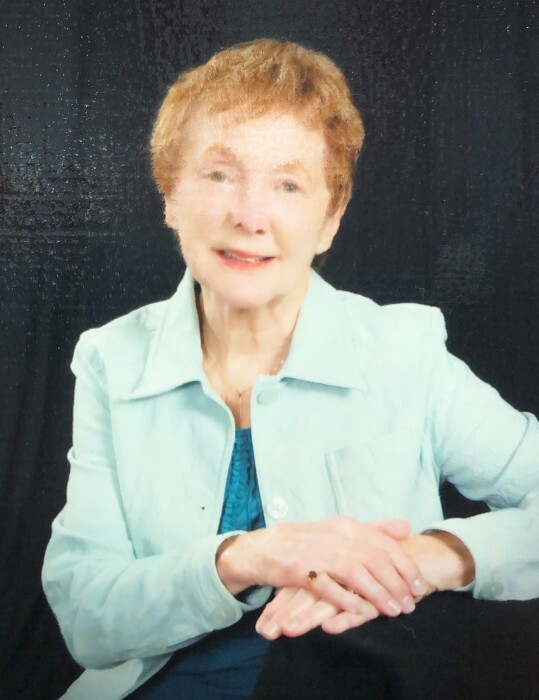 Janice A. Nelson, 86, of La Porte, passed away on Saturday, February 2, 2019 at Miller Health & Rehab. Janice was born on January 1, 1933 in La Porte, IN, to Chester A. and Anna (Celis) Tomlinson. On November 1, 1953 in La Porte, IN, she married William Joseph Nelson, Sr. who preceded her in death. Surviving are her beloved son, William J. (Jane) Nelson, Jr. of La Porte; 4 grandchildren, Erik A. Nelson of Naperville, IL, Adam K. Nelson of La Porte, Ashley (Woodson) Jones of Carmel, IN, and Shelby Luther of La Porte; 2 great-grandchildren; and sister, LaVerne Anderson of La Porte. She was preceded by her parents; husband; daughter, Linda Baran; and brother, Kenneth Tomlinson. Janice was a retired secretary. She was a member of Grace Baptist Church, where she served as a Deaconess, and of the Christian Women's Club. She loved her dog, Chloe. A Celebration of Life Service will be held at 11 am (CT) on Friday, February 8, 2019 at Cutler Funeral Home and Cremation Center. Burial will follow at Pine Lake Cemetery. A time of visitation will be held from 5 - 8 pm (CT) on Thursday, February 7, 2019 and from 10 am (CT) until the time of the service on Friday at the funeral home. Memorial donations may be made to Grace Baptist Church, 2502 Monroe Street, La Porte, IN 46350. Condolences may be shared with the family on www.cutlercares.com.